The Las Vegas of mobsters and showgirls is gone. Today, it’s been replaced by Cirque shows and dancing fountains. The crooners of yesteryear like Elvis and Sinatra may no longer exist, but their spirit still lives on.And these are some of the places in Vegas where you can still channel the glory days of Las Vegas. to replace sawdust-covered floors with carpeting. But that’s not why it holds a place in Vegas history. Benny Binion boasted that he never flinched from covering a bet, something that attracted hard eyed and no nonsense gamblers. Binions was, and still is, all about gambling and not on performance acts. Today, the drinks are generous, the food is cheap and if you listen closely, you can still hear the history of the noisiest, rowdiest, most wide-open casino in Las Vegas! This is the longest continuously-running hotel and casino in Vegas. 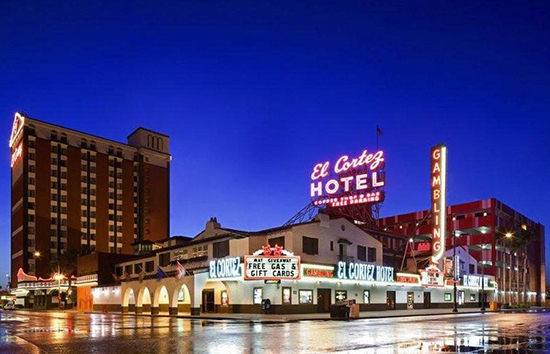 El Cortez first opened its doors in 1941, and it was so successful that it attracted the attention of Bugsy Siegel (Yes, that Bugsy Siegel!) Since then, it’s retained the same ranch themed architecture – and sign – for over seventy years! And there’s a reason it’s lasted this long. When you step into El Cortez, you can feel the atmosphere of old Vegas. They still have coin-in machines where you can hear the ching ching ching of coins hitting a metal tray. And the casino has more perks and comps from the lowest tier players card here than elsewhere on the Strip. 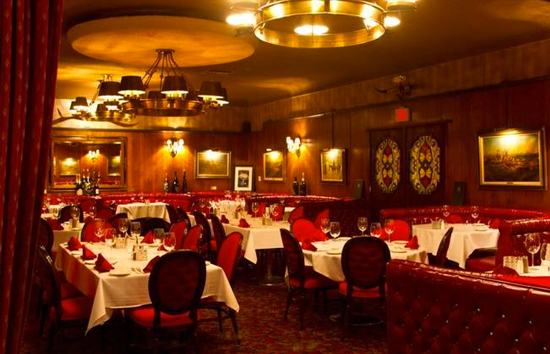 Welcome to the Vegas of yesteryear, when a steakhouse just served steak and service meant jacket clad waiters. The Golden Steer has played host to the likes of Dean Martin, Sammy Davis, Jr, and Old Blue Eyes himself. Come here to soak up vintage Vegas vibes amidst a classy back-room ambiance, a callback to the era of gangster and dames. Call ahead for a reservation at Sinatra’s booth, which just happens to be across from Dean Martin and Sammy Davis Jr’s. Founded in 1958, this fabulously retro steakhouse is still the place for some of the best steak in town. So good, it’s a matter of when, not if, you will return to the Golden Steer! An ode to the days of Vegas gone by, the Peppermill is an iconic reminder of what the Strip used to be. 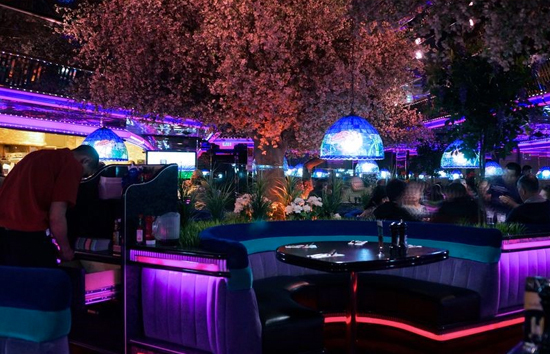 The decor is a perfect mix of neon lights and fake exotic plant life. The food portions are generous and once you’re finished with dinner, you can move on over the Fireside Lounge. Here, you can order a 64 ounce drink known as the Scorpion or delight in a Bloody Mary made from scratch. Enjoy drinks in front of an atmospheric fire pit and reminisce over the old school days of Vegas! 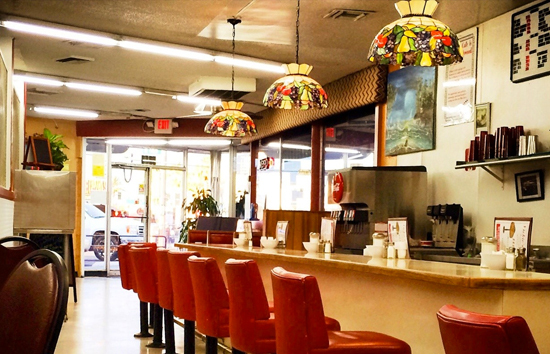 If you’re looking for some vintage Vegas late-nite vibe, come no further than Vicki’s diner. Located inside White Cross Market, this diner actually dates back to 1955. Originally known as White Cross Drugs, this is where Rat Pack members and Elvis Presley filled out their prescriptions. Vicki’s Diner, formerly called Tiffany’s, was famed for its breakfast menu. Today, the über-kitschy diner still serves you around the clock! You may not believe it, but there was a time when garish LED screens did not dominate every inch of the Strip. 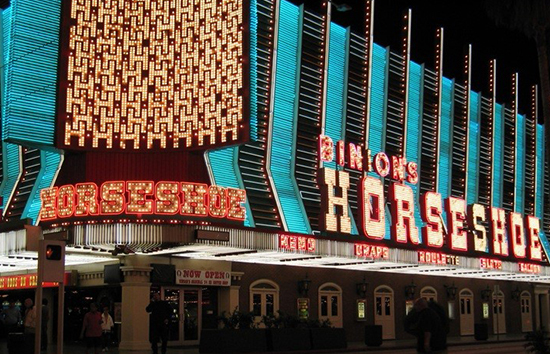 Instead, handcrafted neon signs were the iconic image of Las Vegas. 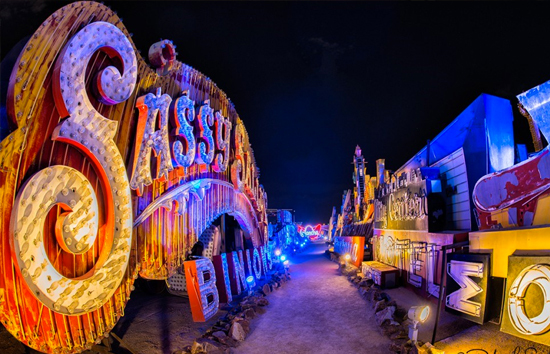 While much if it’s long gone, you can still take a trip to the past at the Neon Museum. Simply take a tour of the aptly named Boneyard to glimpse retro signs dating all the way back to the 1930’s! While you’re on this trip to the past, it might be a good idea to dress the part. Get all dolled up with a femme fatale worthy cocktail dress or just classy up the join with a Rat-Pack inspired suit. We suggest you take a trip to Glam Factory Vintage or Amberjoys Vintage Closet to satiate all those retro clothing needs. 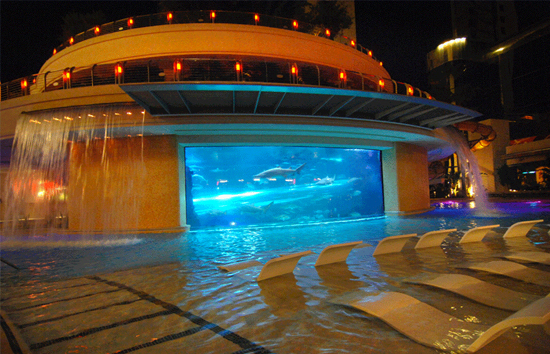 If you’re looking for everything that’s fabulous about Las Vegas, you need go no further. This store is chock full of art and antiques, priced to fit every budget and space. They have pieces full of historical significance from some of the most fabulous homes in town. For glitz, glamour and fun, don’t forget to check out Retro Vegas! The struggle between the Mafia and the law is an important part of the American zeitgeist. The Mob Museum is where you can learn the real stories and actual events of Mob history in Las Vegas. Located inside the old Las Vegas courthouse, the Museum provides an interactive journey that will take you from the birth of the Mob all the way to the headlines of today. And with provocative multi-sensory exhibits and unparalleled insight, the story of the Mob will come to life before your very eyes! There are two ways to experience Vegas: the garish neon lights of new Vegas on the Strip or the classic Vegas of the Rat Pack era. If you’re hungry for the latter, then this article should help you find – and enjoy- Sin City’s best retro sights!